Our innovative Independent Tension and Pressure snare system sets a new standard for concert snare drum technology! 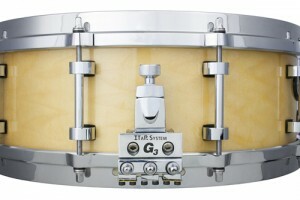 No more compromising on dynamic response – just “dial-in” exact snare pressure and tension independently. Who said cable snares aren’t sensitive? 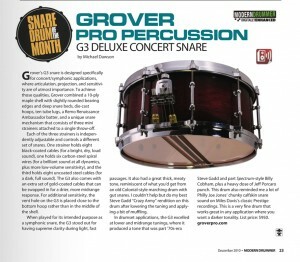 G3 Snare Drum Gets Rave Review !